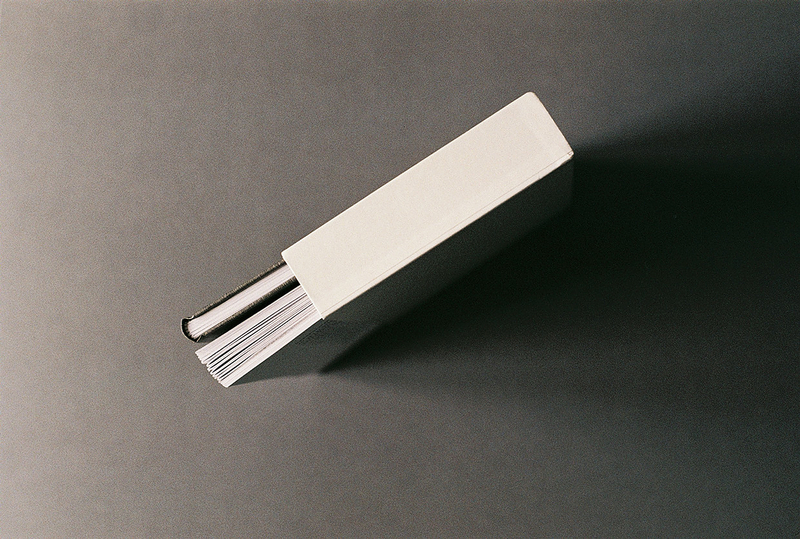 When we deal with a text, not always we pay attention to set it in a face and form in which it actually belongs. 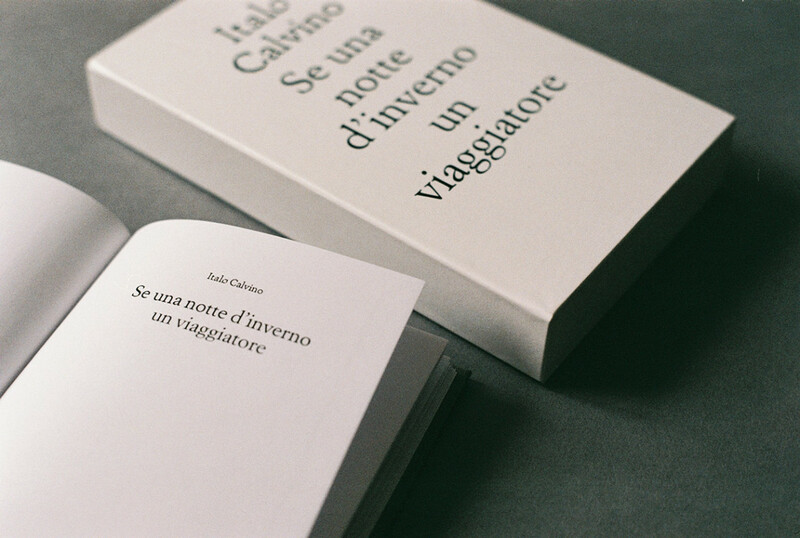 Considering these premises, the aim is to create a typographic system, based on a text, the Italo Calvino’s novel “If on a winter’s night a traveler”. 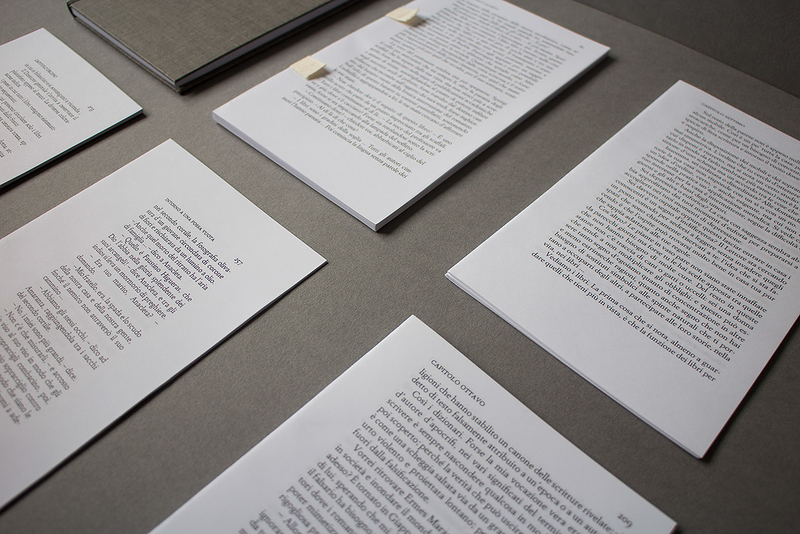 The hypothesis is to create an object–book where every variable, both typographic and physical, is designed starting from the structure of the novel, evolving with it. 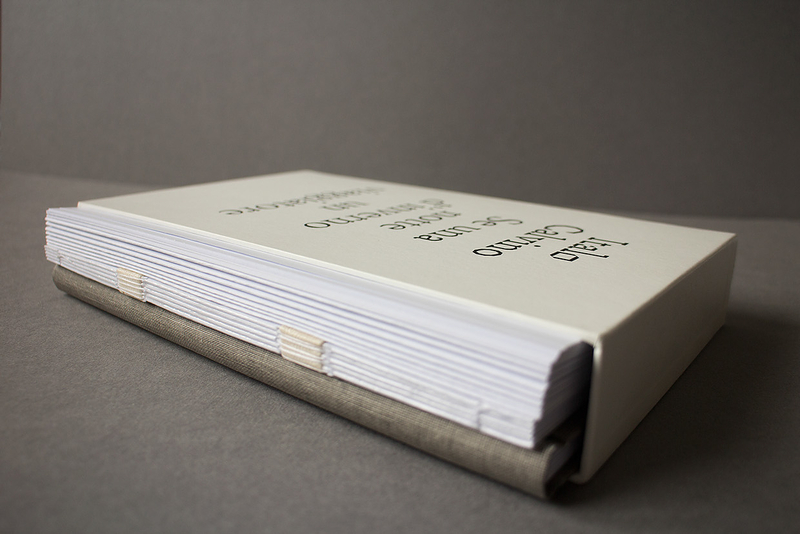 The aim is to make the book as a physical object, expression of its own content. 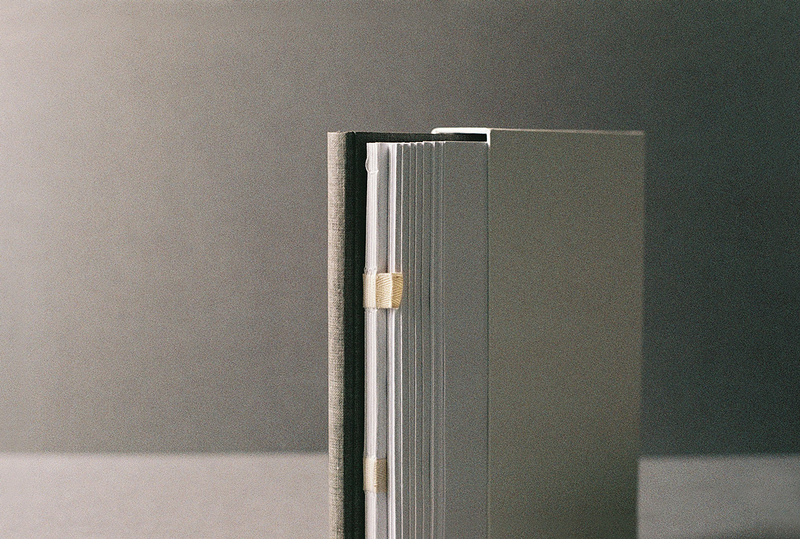 Interventions are not merely decorative, the visual elements have a key role and are supporting the story. 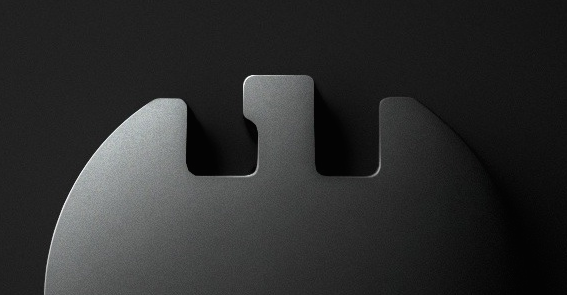 At the same time, the action of the designer cannot be invasive or arbitrary. 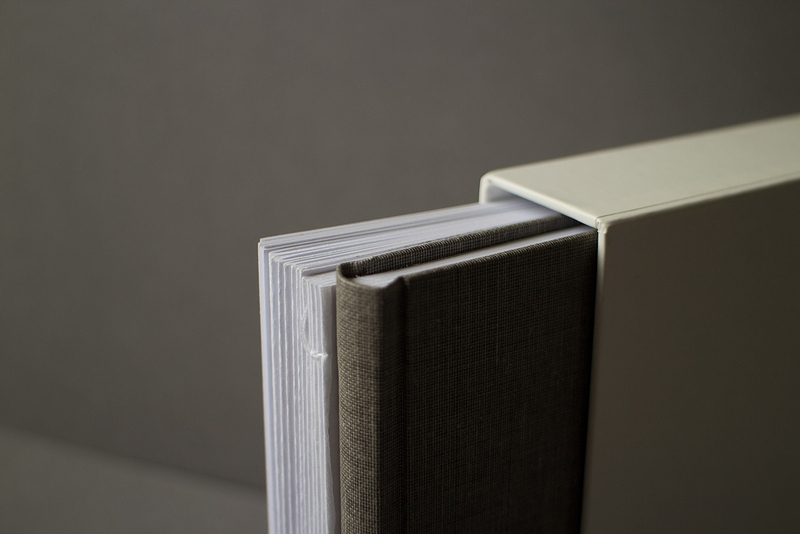 The equilibrium between the content and the book as an object has an important role in the design process. 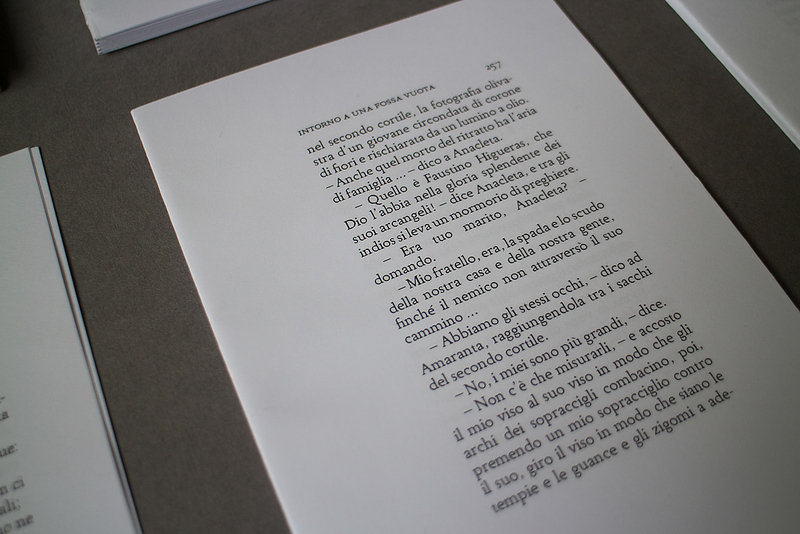 The focus is the definition of a typefaces’ system that evolves chapter by chapter, following the narration. 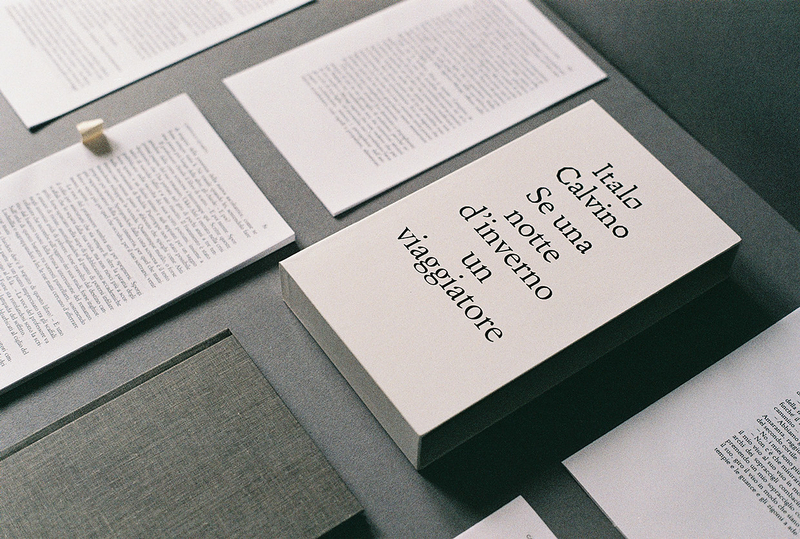 The aim is to understand how a typeface can change the perception of a specific content, becoming part of the message. 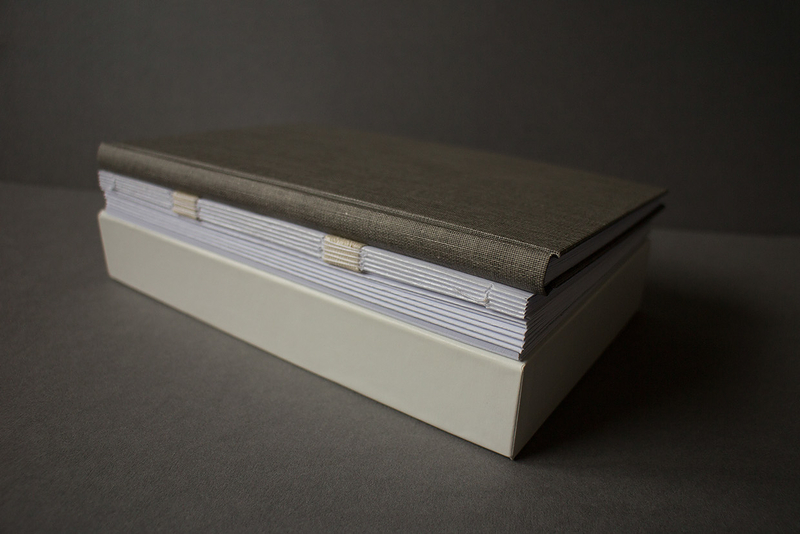 Other interventions have been designed, like the system of grids, the application of different papers or the binding. The definition of a system of modular interventions, really simple if considered in themselves, represents how the starting hypothesis was proved. 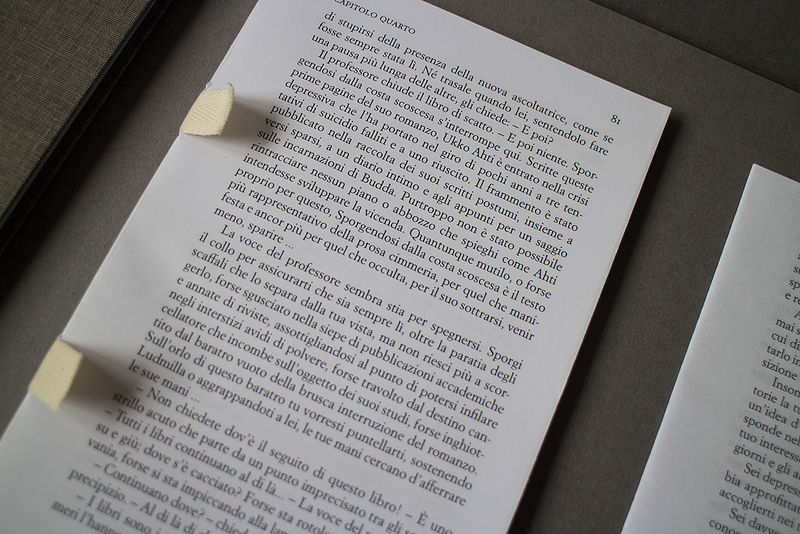 The system wants to show the complexity of the novel, making the book essential part of the story.